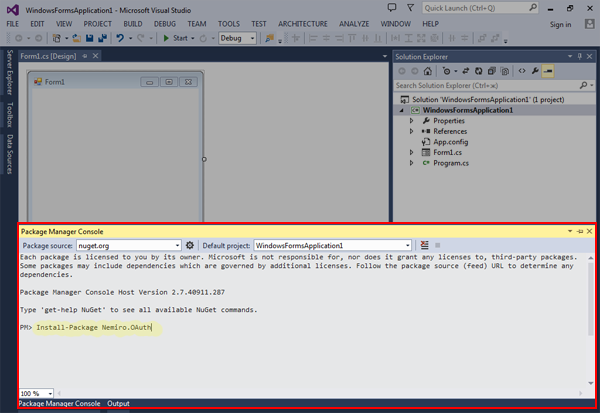 Use NuGet Package Manager to install Nemiro.OAuth. 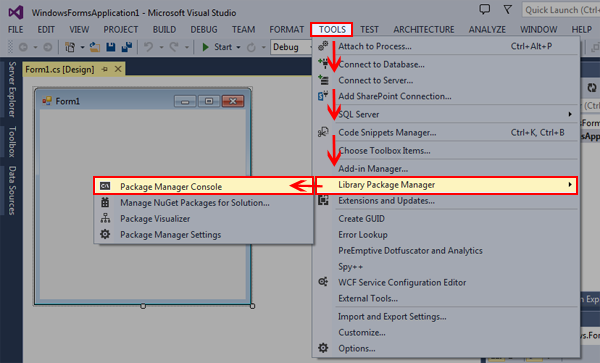 To open the Package Manager Console, select menu: Tools => Library Package Manager => Package Manager Console. 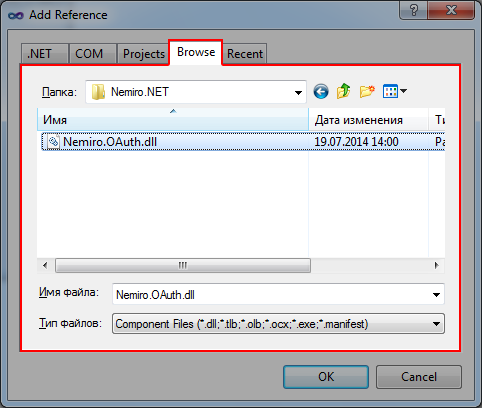 NOTE: If you need examples of using the library, download Nemiro.OAuth. If you do not have Package Manager or it's not work, you can download Nemiro.OAuth and add a reference to the assembly into your project. 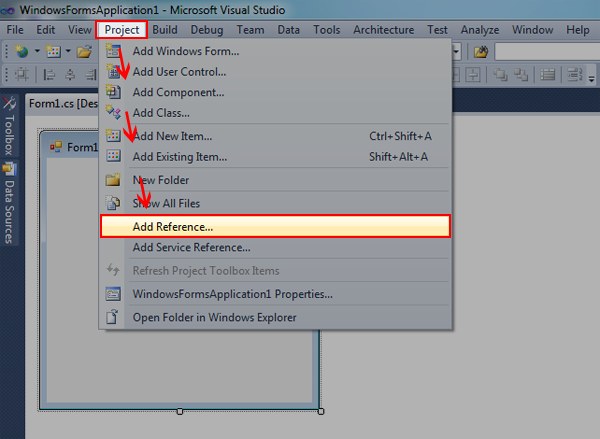 Select Browse tab, locate and select the Nemiro.OAuth.dll and click Ok.